1 : Paint your nails white, then let dry. Add nail stripes in a boxy fashion to your white nail. 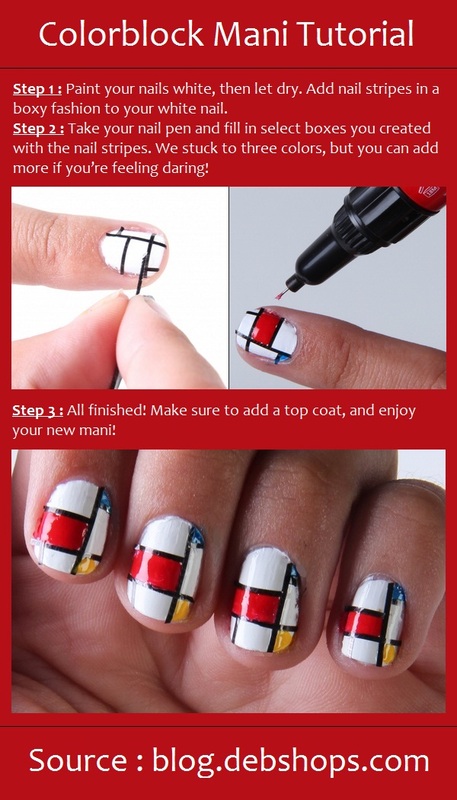 2 : Take your nail pen and fill in select boxes you created with the nail stripes. We stuck to three colors, but you can add more if you’re feeling daring! 3 : All finished! Make sure to add a top coat, and enjoy your new mani!